24 Aug 1936, Travellers' Tales from Overseas. SCIENCE, TENNIS AND FASHION DISCUSSED. It must have been a poor first impression that overseas visitors formed of Melbourne when R.M.S. Orford berthed last night in the teeth of a howling gale that made the pier at Port Melbourne surely one of the most unpleasant spots in a city thoroughly out of humor. It was a churlish blustering welcome and the Orford passengers, and the friends who were greeting them, soon left the wind-swept decks for the shelter of the lounges as they exchanged impressions of peoples and places over seas for home news. 11 Jan 1938, AFTER the expiration of fourteen days from the publication hereof application will be made to the Supreme Court of the State or Victoria, in its Probate jurisdiction, that PROBATE of the WILL (dated the 10th day of April, 1926) of AUSTRALIA KATHLEEN MARTEL, late of Upper Beaconsfield, in the said State, married woman, deceased, may be granted to Leslie Bolitho, formerly of 69 Livingstone street, Ivanhoe, in the said State, but now of Seymour, in the said State, bank manager, the sole executor named therein. [S1] Registry of Births Deaths and Marriages Pioneer Index Victoria 1836-1888 "#B12242." [S3] Registry of Births Deaths and Marriages Edwardian Index Victoria 1902-1913 "#M1402." [S33] Australian Government: http://www.naa.gov.au/collection/search/index.aspx, MARTEL Australia Kathleen: Nationality - French: Date of Birth - 31 March 1885: Arrived per NARKUNDA: First registered at Mosman. [S11] Newspaper - Argus 8 Jan 1938 p21. [S101] Electoral Roll for Australia, 1903 - 1980 "1937." [S11] Newspaper - Argus 3 Jan 1938 p2. [S11] Newspaper - Argus 11 Jan 1938, p13. Death-Notice* 18 Aug 1967 MARTEL.-On August 16th, at St Luke's Hospital, Sydney, Charles Louis, of Woollahra, dearly loved husband of Muriel, loved father of Del (Mrs Champion de Crespigny, Anglesea, Vic.) and Maurice (late R.A.A.F. decd. ), fond grandfather of Andrew Charles Roberts, Toorak, Vic. MARTEL.-On August 16th, at St. Luke's Hospital, Sydney, Charles Louis, dearly loved Dahsie of Pauline and Diane, beloved stepfather of John and Marj. Remembered with love always. MARTEL.-The Funeral of Mr CHARLES LOUIS MARTEL will leave our chapel, 1646 High Street, Glen Iris (east of the railway gates) on MONDAY (21st August) after a service commencing at 2.00 pm for the Springvale Crematorium. 17 Dec 1952, AUCTION, PROPERTY, &c THIS DAY AT 3 P.M.
Cont. Ent. Hall, D.D. 's to Large Loungerm., Through Large Folding Doors to Dining-rm., Den. Billiard- rm., 3 Bedrms., Each with Hand Basin (2 with B.I. Robes); Encl. Sun Verandah, Tiled Kitchen, 2- bowl S.S. Sink, H.W.S., Pantry, Bathrm., Sep. Toilet, Large Sun Deck. Some Floor Coverings, Curtains, & Furniture Available at Valuation. NOTE: VACANT POSSESSION CAN BE ARRANGED FOR XMAS. Outbuildings Include 3-rmd Caretaker's Cottage, 2-car Garage, Stables, and Various Store & Tool Rooms. Adequate Water Supply. 8 3/4 ACRES OF LAND. Beautiful Garden with Many Lovely Well-developed Trees and Shrubs. Circular Drive. Outstanding Views. Handy Shops and Golf Clubs. 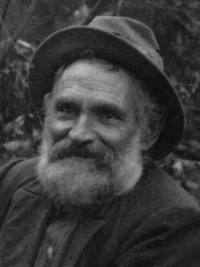 [S33] Australian Government: http://www.naa.gov.au/collection/search/index.aspx, MARTEL Charles Louis: Nationality - French: Date of Birth - 15 July 1886: Arrived per NARKUNDA: First registered at Mosman. [S185] Property Titles. ; PROV (Public Records Office Victoria), C/T 3170-931 - Charles Martel of The Rialto Collins Street Melbourne Woolbuyer. [S33] Australian Government: http://www.naa.gov.au/collection/search/index.aspx, MARTEL Charles Louis born 1886, Adele Kathleen age 47 - Nationality: French - Arrived Adelaide 17 August 1933. [S6] Registry of Births Deaths and Marriages Marriage Index Victoria 1921-1942 "as Stella Rose COOKE." [S33] Australian Government: http://www.naa.gov.au/collection/search/index.aspx, MARTEL Charles Lovis born 15 July 1886; nationality French; travelled per STRATHALLAN arriving in Melbourne on 11 July 1939. [S33] Australian Government: http://www.naa.gov.au/collection/search/index.aspx, MARTEL Charles Louis: Nationality - French: Date of Birth - 15 July 1886: Date of Arrival - 13 September 1906: Arrived per SS INDIA [P & O Company]: Certificate Number 1: Date of Issue - 15 September 1939: First Registered at Berwick - Victoria [Contains one black and white photograph]. [S33] Australian Government: http://www.naa.gov.au/collection/search/index.aspx, A659, 1940/1/7105. [S185] Property Titles. ; PROV (Public Records Office Victoria), C/T 3170-931 - Norman Cyril Steele of Berwick Grazier. [S14] Newspaper - 2nd wife: Muriel Windeyer MARTEL, Death notice, Sydney Morning Herald 03 FEB 1983. [S7] Registry of NSW Births Deaths and Marriages "NSW #M15435." [S7] Registry of NSW Births Deaths and Marriages "NSW #D4328 [par Jules & Mary]." [S16] Newspaper - The Age 18 Aug 1967, p17. [S14] Newspaper - Sydney Morning Herald, 18 Aug 1967. [S14] Newspaper - Adelaide Advertiser 5 Aug 1929, p14. [S14] Newspaper - The Mail (Adelaide) 5 Aug 1933, p2. [S14] Newspaper - The Horsham Times, 11 Aug 1933, p4. [S11] Newspaper - Argus 23 Jul 1940, p8. also: 29 Nov 1952 p21: slightly different wording at end "TERMS ½ Cash Bal to Suit Purchaser. Inspections By Arrangement only with the Auctioneers Who Will Arrange Transport if Desired." also: 13 Dec 1952 p17: same wording as 17 Dec 1952. [S3] Registry of Births Deaths and Marriages Edwardian Index Victoria 1902-1913 "#B25772." [S11] Newspaper - Argus 1 Jun 1936, p15. [S80] Ancestry - Family Tree, !Young & Ch de Crespigny (Owner AnneYoungAu). [S154] Electoral Roll for Australia, 1954 "District of Learmonth, no place given, but others on page were at Wendouree." [S11] Newspaper - Argus 19 Aug 1939, p13. Military Enlisted for military service: RAAF PERSONNEL SERVING ON ATTACHMENT IN ROYAL AIR FORCE SQUADRONS AND SUPPORT UNITS IN WORLD WAR 2 AND MISSING WITH NO KNOWN GRAVE. Caithness, Scotland at 1445K hours on 17 March 1942 to carry out a Stander patrol. Nothing was seen or heard from the aircraft after take off and it did not return to base. aircraft might have come down was fully covered but was unsuccessful. Roll of Honour UPPER BEACONSFIELD. [S33] Australian Government: http://www.naa.gov.au/collection/search/index.aspx, MARTEL Maurice Joseph - (Flying Officer); Service Number - 400373; File type - Casualty - Repatriation; Aircraft - Hudson; Place - Wick, Scotland; Date - 17 March 1942. [S11] Newspaper - Argus 21 Aug 1939, p4. Death-Notice* 18 Dec 1961 BLACK.—On December 17, at her home, Upper Beaconsfield, Ethel Maud, beloved wife of Thomas Fergus, and loving mother of Ethel (Mrs Peart), Bruce, Grace, May (Mrs Witham) and Anne. BLACK.—On December 17, at her home, Upper Beaconsfield, Ethel Maud, loving mother of May, mother-in-law of Bob Witham, loved grandmother of Julie and Debra. BLACK.—On December 17, at her home, Upper Beaconsfield, Ethel Maud, loving mother of Ethel, mother-in-law of Joe Peart, loved grandmother of Janice and Kenneth. [S16] Newspaper - The Age 18 Dec 1961, p10. [S5] Registry of Births Deaths and Marriages Death Index Victoria 1921-1985 "#D11695 (Age 74) [par John BRIND & Mary HANSLOW]." [S1] Registry of Births Deaths and Marriages Pioneer Index Victoria 1836-1888 "#M1347." 79/49 HENRY BRIND PAKENHAM 220 19--3--38. 1877 - 1879. [S65] Ancestry - various indices, Ancestry.com. Victoria, Australia, St. Peter's Eastern Hill, Marriages, 1848-1955 [database on-line]. Provo, UT, USA: Ancestry.com Operations, Inc., 2014. Description: Series 02, Register 1878-1883; Reference Number: M2/12. 24 Dec 1904, SATURDAY, JANUARY 7. At Half-past Four. On the Ground, UPPER BEACONSFIELD. HANSEN and Co. have received instructions to SELL by PUBLIC AUCTION, as above (through their auctioneer, LAMB SMITH), That well-known country residence, "BEN EAY," built under supervision of W. Law, architect, containing drawingroom, diningroom, 7 bedrooms (some with wardrobes), bathroom, kitchen, scullery, cellar, storeroom, man's room, coachhouse, cowshed, fowlhouse, and occupying perhaps the most CHARMING POSITION in Upper Beaconsfield, eminently suited for a gentleman's home or boarding- house, near P.O., store, hall, &c; land, containing 12½ acres, laid out in fruit and flower garden, grass paddock, &c.
Magnificent views over land and sea. Delightful climate in summer and winter. [S5] Registry of Births Deaths and Marriages Death Index Victoria 1921-1985 "#D5331 (age 71) [par Michael BROWN & Mercy]." [S5] Registry of Births Deaths and Marriages Death Index Victoria 1921-1985 "#D15724 (age 67) [par Francis STEPHENS & Elsie TAYLOR]." [S11] Newspaper - Argus 7 May 1930, p1. [S35] Probate Records, PROV (Public Records Office Victoria), VPRS 28/P3, unit 2091; VPRS 7591/P2, unit 822. [S185] Property Titles. ; PROV (Public Records Office Victoria), C/T 4227-337 Enos Brown died 4 May 1930 probate granted to Albert Brown of 66 Orrong Crescent Caulfield salesman - one part of the land sold to Percy Brown of Pakenham Baker and Florrie Suters of Latrobe Terrace Geelong Married Woman as tenants in common in equal shares - C/T 5723-403. [S185] Property Titles. ; PROV (Public Records Office Victoria), C/T 4227-337 Enos Brown died 4 May 1930 probate granted to Albert Brown of 66 Orrong Crescent Caulfield salesman - one part of the land sold to Eva Brown of 2 Princes Street Caulfield Married Woman - C/T 5723-402. [S112] Electoral Roll for Australia, 1912 "Minnie possibly listed in Berwick as Emma Lavinia BROWN." [S11] Newspaper - Argus 24 Dec 1904, p2. [S1] Registry of Births Deaths and Marriages Pioneer Index Victoria 1836-1888 "mother's name in siblings' birth as Alice Hillier TAYLOR." [S11] Newspaper - Argus 24 Oct 1923 p1. [S35] Probate Records, PROV (Public Records Office Victoria), VPRS 28/P3, unit 1366; VPRS 7591/P2, unit 681. [S11] Newspaper - Argus 27 Mar 1901, p12. [S16] Newspaper - The Age 22 Nov 1902, p15. [S35] Probate Records, PROV (Public Records Office Victoria), VPRS 28/P5, unit 1009; VPRS 7591/P4, unit 172. [S29] Nominal Roll, Australian War Memorial - WWI, see military file. [S185] Property Titles. ; PROV (Public Records Office Victoria), C/T 2967-228 - Mabel Victoria Hayball of "Crail" Beaconsfield Upper Married Woman. [S11] Newspaper - Argus 4 Dec 1920, p14. Publican at Cardinia Park Hotel, Beaconsfield. 27 Jul 1887, CARDINIA PARK HOTEL, BEACONSFIELD, JOHN MILNE begs to inform the inhabitants of Beaconsfield that he has now opened his New Hotel, and can supply every accommodation at moderate rates. Wines and Spirits of the Best Quality. Fishing and Shooting in Abundance. Last week one of our representatives paid a visit to the Cardinia Park Hotel, Beaconsfield, kept by John Milne. Leaving Dandenong by the 3.30 train, there is nothing to attract notice, except immense sheets of water, between Hallam's Road and Narre Warren. Alighting from the train at Beaconsfield station the visitor is saluted with a heavy shower of rain, and I look round to see if I can find any good Samaritan, and fortunately an old friend is exposed to view, in the person of Mr Glismann, who is always ready with his faithful 'Tommy" to carry the pleasure seekers to the sylvan dales and alpine altitudes of that thriving township. After a few cursory remarks about the weather, Mr Glismann invites me to take a seat in his wagonette, which is gladly accepted as a shield against the storm, which is raging fitfully all around. After about a quarter of an hours travelling we pass the palatial residence of Mrs Armytage, better known as "Holm Park" with its lofty abutments facing the "Cardinia Park" and standing as a paradigm of the future of Beaconsfield. This place previously belonged to Andrew Keating, who twenty-seven years ago migrated from Collingwood and set to work to claim this primeval waste, which was then completely covered with water and ti-tree scrub. We then pass Mr Anderson's residence, about a mile further on, who is also going in for improvements. Another half mile over, and the Cardinia Park hotel is reached. The building which is of brick, stands on the corner of the Berwick and Beaconsfield roads, and about three miles from the Beaconsfield railway station. On being introduced to Host Milne, we are admitted through a large hall door into the private parlour, when a good view of the interior is placed before us. On each side of the hall door and over the fanlight, large bunches of hops are carved in the stained glass, which the proprietor informed us, were put there as a momento to the late George Miller, who formerly owned the place and built the old wooden hotel, which preceded the present brick structure. He was the first who introduced the growing of hops in the district some twenty years ago, and for that purpose had a broad acreage reclaimed from its wild state and converted into a hop plantation, from which were taken some splendid specimens of hops, and the place, which previously was the haunt of the dingo and the kangaroo, became a place of mirth and labour, and instead of the nocturnal howling of those denizens of the forest the voices of boys and girls reverberated through the trees as they pulled the hop from its tendril and placed it in a receptacle, in which it was carried to the hop house to dry. He was also successful in obtaining several prizes and an hon. mention for his first attempt. Two of the houses which he built for drying the hops still remain to be seen, and since his death no enterprising person has taken any steps in the matter, nor has anyone attempted to resuscitate the declination. The proprietor then showed us through the building, which contains fourteen rooms, a kitchen, and cellar. The rooms are large and well ventilated, and the windows fastened with patented spring locks, and nothing is left undone to secure the comport of boarders and visitors, who will find comfort in the place and civility from the proprietor. On the north side of the building, and adjacent to the bar, is a large billiard room in course of erection, which will be another source of amusement. About 100 yards from the hotel is the Cardinia creek, where fishing and shooting is to be found in abundance, and scenery in all its rural beauty is to be found there, and the Cardinia park terminates nearly opposite the hotel. We then inspect the brick yards, which are about a quarter of mile from the hotel, where a good specimen of brick can be procured at a reasonable rate. Reece and Co. are at present employed making a large quantity of bricks and tiles which are for sale, and persons desirous of dotting the little township of Beaconsfield with villa residences cannot do better than visit the brickyard, and see for themselves, as the proprietor has on sale bricks and some splendid sand for building purposes at very cheap rates. And as the shades of evening were fast making their appearance, and the night promising to be by no means favourable, we returned to the hotel just in time for tea. 3 Aug 1887, CARDINIA PARK HOTEL, BEACONSFIELD. JOHN MILNE begs to inform the inhabitants of Beaconsfield that he has now Opened his New Hotel, and can supply every accommodation at moderate rates. Wines and Spirits of the Best Quality. Fishing and Shooting in Abundance. The Proprietor wishes to inform Builders and others that he will supply Bricks and Sand at moderate charges and guarantees good quality. 11 May 1892, Berwick Shire Council: 7 May 1892. 2 Nov 1892, BERWICK POLICE COURT. MONDAY, 31st OCTOBER. Before Major Bartrop, P.M., and James Wilson, Esq., J.P.
Duncan Cameron v. John Milne, wilfully damaging property belonging to plaintiff. Mr. Little appeared on behalf of Cameron, and Mr Thomson for defendant. The complainant's statement set forth that defendant's cattle were continually straying into a paddock rented by plaintiff, owing to the fact that defendant had pulled the fences and gates down. The latter had been warned that the cattle would be impounded, but had taken no notice of the warning. Duncan Cameron deposed that Milne took away the gate and opened up the fence in his paddock so that defendant's cows got in ; the gate opened into witness's paddock from the main Gembrook road. Defendant also took down a notice board (notifying that trespassing stock would be impounded) from the paddock, and threw it out on the main road. Cross-examined by Mr. Thomson: Witness did not see the defendant take the board down, but defendant admitted to witness that he had done so. Hugh Cameron, son of plaintiff said that he knew the defendant. Remembered 14th October. Saw defendant in the Gembrook road on that day ; he was chopping down a gate leading from his (witness's) father's paddock into the main Gembrook road. Both John Milne and his son were destroying the gate, which they placed in a paddock owned by Milne. The gate broken down was in the line of a proposed road through the properties. The road was not at all well defined, there being on one side, only about 60 or 70 yards of fencing, which was used for yoking bullocks up in. Wm. Brisbane, agent and auctioneer, produced the agreement between the Beaconsfield Heights Estate and Duncan Cameron for the lease of the land in question (the whole of the property, except blocks 8 and 9). Witness was secretary for the company, and could say that the company did not give Milne any right to effect carriage way through the land. Cross-examined by Mr. Thomson : The company never leased the land to Milne. This concluded the case for the plaintiff. John Milne, licensee of the Cardinia Park Hotel, said he had always been under the impression that there was a road through the property. Witness put the gate up, and thought he had a right is to take it down. The Bench decided that they had no jurisdiction, and dismissed the case. Alex. Milne v. D. Cameron. The proceedings were taken under the 14th section of "Pound Act," 1890, and charged defendant with having illegally impounded certain cattle belonging to plaintiff. John Milne said that on the 14th October he and his son saw the defendant and some of his men driving about 20 head of witness's cattle from the paddock, and defendant said they were taking the cattle to the pound. Witness tendered the pound and trespass fees to defendant but he refused to accept that ; afterwards made another offer to defendant of the pound fees, but he again refused: the cattle were impounded in the name of Duncan Cameron, junr. Alex. Milne, informant, corroborated in the above evidence, and added that Cameron said to witness's father, when the latter offered the trespass fees, that he would not take the fees because he had given notice that he would impound all cattle. Jonathan Denny, contractor, gave evidence to the effect that he had witnessed Milne offer Duncan Cameron some money. The defence was that the statement of the plaintiff that he had offered the fees on the first occasion was false. Duncan Cameron, Senr., swore that plaintiff did not meet witness near the paddock from whence the cattle were taken, and only met him near the pound. Milne then offered the fees to witness, who said "give it to the man in charge of the cattle; I have nothing to do with the impounding." Milne said "you old ——, if you were in Ireland, you would be shot." Duncan Cameron, contractor, son of previous witness, deposed to taking the cattle out of the Beaconsfield Heights Estate paddock, and impounding them; witness's father was not present at the time, so the tender of the fees could not have been made to him. Witness was authorised by his father to impound cattle from the paddock. 23 Nov 1892, Mr. John Milne died at his residence, Cardinia Park, on Monday last. He was thrown out of a dray about a fortnight previously, and the injuries he then received were of such a severe nature that he succumbed as stated. [S5] Registry of Births Deaths and Marriages Death Index Victoria 1921-1985 "#D12888 (Age 53) [par Alex MILNE & Jane KEITH]." [S1] Registry of Births Deaths and Marriages Pioneer Index Victoria 1836-1888 "information from marriage entry in index." [S1] Registry of Births Deaths and Marriages Pioneer Index Victoria 1836-1888 "#M825 as Ann SUMMERS." [S185] Property Titles. ; PROV (Public Records Office Victoria), C/T 1956-053 - John Milne of Pakenham. [S81] Land Records, Parish Maps & Council Rate Books. ; PROV (Public Records Office Victoria), Land File 3140/19.20. [S185] Property Titles. ; PROV (Public Records Office Victoria), C/T 1956-053 - Mortgage No 60009 - The Australian Economic Bank Limited - discharged 7 Nov 1884. [S185] Property Titles. ; PROV (Public Records Office Victoria), C/T 1255-912 David Boyd of York Street, Emerald Hill, Estate Agent - see C/T 1865-824 to John Milne of Beaconsfield Licenced Victualler. [S185] Property Titles. ; PROV (Public Records Office Victoria), C/T 1956-053 - Mortgage No 86456 - The City of Melbourne Building Society - discharged 3 Nov 1888. [S185] Property Titles. ; PROV (Public Records Office Victoria), C/T V503-485 John Milne of Berwick Gentleman. [S185] Property Titles. ; PROV (Public Records Office Victoria), C/T 1956-053 - Mortgage No 99262 - Arthur Bonville Were and Edward Littlejohn Backhouse - discharged 11 Jul 1890. [S185] Property Titles. ; PROV (Public Records Office Victoria), C/T 2204-639 - John Milne of Beaconsfield Licensed Victualler - C/T 2237-394 - title cancelled now C/T 2281-153. [S185] Property Titles. ; PROV (Public Records Office Victoria), C/T 2204-639 - John Milne of Beaconsfield Licensed Victualler - C/T 2281-153. [S185] Property Titles. ; PROV (Public Records Office Victoria), C/T 1956-053 - Mortgage No 114310 - Mortgage foreclosed. [S185] Property Titles. ; PROV (Public Records Office Victoria), C/T V503-485 Transfer to Ann Milne. [S185] Property Titles. ; PROV (Public Records Office Victoria), C/T 2281-153 - Mortgage No 134002- not discharged. [S185] Property Titles. ; PROV (Public Records Office Victoria), C/T 2350-861 - Mortgage No 134002 - not discharged. [S185] Property Titles. ; PROV (Public Records Office Victoria), C/T 1946-122 - Mortgage No 134002- not discharged. [S185] Property Titles. ; PROV (Public Records Office Victoria), C/T 2178-445A. [S185] Property Titles. ; PROV (Public Records Office Victoria), C/T 2281-153 - Ann Milne. [S35] Probate Records, PROV (Public Records Office Victoria), VPRS 28/P0, unit 687; VPRS 28/P2, unit 377. [S185] Property Titles. ; PROV (Public Records Office Victoria), C/T 2350-861 - Ann Milne of Beaconsfield - proprietor after John Milne's death. [S185] Property Titles. ; PROV (Public Records Office Victoria), C/T 1956-053 - John Gull Johnson foreclosed. VPRS 7591/ P2 unit 632, item 174/834. 5-035-B Milne Kate F 5/08/1957 1392. [S12] Newspaper - South Bourke and Mornington Journal 27 Jul 1887, p2. [S12] Newspaper - South Bourke and Mornington Journal 27 July 1887 Vol. XXIII No. 12. [S12] Newspaper - South Bourke and Mornington Journal 3 Aug 1887, p2. [S11] Newspaper - Argus 16 Jan 1889, p9. [S11] Newspaper - Argus 4 Oct 1890, p3. [S12] Newspaper - South Bourke and Mornington Journal 11 May 1892, p3. [S11] Newspaper - Argus 11 Oct 1892, p7. [S12] Newspaper - South Bourke and Mornington Journal 2 Nov 1892, p2. [S12] Newspaper - South Bourke and Mornington Journal 5 Nov 1892, p2. [S12] Newspaper - South Bourke and Mornington Journal 23 Nov 1892, p2. Death-Notice* 27 Mar 1913 MILNE.—On the 26th March, at her residence, Beaconsfield, Ann Milne, aged 79 years. R.I.P. MILNE.—Friends of the late Mrs. MILNE are respectfully invited to follow her remains to the place of interment, Berwick Cemetery. Funeral to leave her residence, Beaconsfield, THIS DAY (Thursday, 27th March), at half-past three. [S1] Registry of Births Deaths and Marriages Pioneer Index Victoria 1836-1888 "info from death certificate - may not have officially married?" [S185] Property Titles. ; PROV (Public Records Office Victoria), C/T 1255-912 David Boyd of York Street, Emerald Hill, Estate Agent - see C/T 1467-289 to Ann Miller of Berwick, Hotelkeeper. [S185] Property Titles. ; PROV (Public Records Office Victoria), C/T 1467-289 Mortgage Ann Miller to Charles Cameron Gunn - discharged 12 Aug 1886. [S185] Property Titles. ; PROV (Public Records Office Victoria), C/T 1467-289 Mortgage Ann Miller to Isabella Margaret Black, Archibald George Hughes Black and John Wylie - discharged 6 Jul 1888. [S185] Property Titles. ; PROV (Public Records Office Victoria), C/T 1255-912 David Boyd of York Street, Emerald Hill, Estate Agent - see C/T 1865-823 to Ann Milne. [S185] Property Titles. ; PROV (Public Records Office Victoria), C/T 2204-639 - Ann Milne - C/T 2237-393. [S185] Property Titles. ; PROV (Public Records Office Victoria), C/T 1946-122 - John Gull Johnson of Queen Street Melbourne Gentleman. [S185] Property Titles. ; PROV (Public Records Office Victoria), C/T 2178-445A Ann Milne to John Payne of Bourke Street Melbourne Draper - C/T 3813-546. [S185] Property Titles. ; PROV (Public Records Office Victoria), C/T 2350-861 - Ann Milne to Emma Shorthouse of Upper Beaconsfield Married Woman - C/T 3287-381. [S185] Property Titles. ; PROV (Public Records Office Victoria), C/T 503-485 Transfer to William Ferris of Boggy Creek, Farmer. [S185] Property Titles. ; PROV (Public Records Office Victoria), C/T 2281-153 - James Richardson the Younger - C/T 3604-655. [S3] Registry of Births Deaths and Marriages Edwardian Index Victoria 1902-1913 "#D540 (Age 78) [par Michael SOMERS & LEESON]." [S35] Probate Records, PROV (Public Records Office Victoria), 128/950 Widow Beaconsfield. [S185] Property Titles. ; PROV (Public Records Office Victoria), C/T 2281-153 - not recorded on title, but Elizabeth Somers sells the balance of the land. Somers Elizabeth no dates bw1468/71. [S12] Newspaper - South Bourke and Mornington Journal 14 Dec 1898, p3. 25 Oct 1880, THURSDAY, 28th OCTOBER. At 2 o'CIock. BEACONSFIELD, adjoining BERWICK, BUSH INN HOTEL and 80 ACRES LAND. Also, Two Adjoining PADDOCKS of 79 Acres and 137 Acres. One Mile from the Beaconsfield Railway Station, and near the residences of George Ramsden, Esq., Professor Halford and George Bullen, Esq. Byrne, Vale and Co., have received instructions from Mr. Geo. Miller, to sell by public auction, at their rooms, 64 and 66 Collins-street east, on Thursday, 28th October, 1880, at 2 o'clock. Lot 1. The Bush Inn Hotel, built of weatherboard, containing 10 rooms, lath and plastered inside, at present in the occupation of the proprietor, together with 80 acres of first-class land, all substantially fenced ; about 12 acres cleared and under cultivation, being part of allotment 57A and the whole of allotment 57B1, in the parish of Pakenham, county of Mornington. Lot 2. Adjoining above, being part of allotment 57A and the whole of allotments 57B2 and 57B3, con taining 137½ acres, all fenced, and suitable for subdivision. Lot 3. Adjoining, being allotment 58A and B, containing 137½ acres, all fenced, and partly cleared. 3 Nov 1880, BERWICK, THURSDAY, NOVEMBER 4th Clearing Sale of CATTLE, HORSES, FARMING IMPLEMENTS, &c. J. Clarke and Co. HAVE been favored with instructions from Mr George Miller, to Sell by Public Auction, at the Bush Hotel, on Beaconsfield road, one mile from Bain's Hotel, 40 HEAD OF CATTLE, Consisting of Cows is full milk and springing, and Young Cattle; also 1 Alderney,Bull, 1 Draught Mare, 7 years old, 1 Draught Horse, 1 Colt, 3 years old; Spring Cart, Dray, Plough, Harness, Saddle, Bridle, Side-Saddle, lot of Tools, Pigs, Poultry, and numerous Sundries. Also, a splendid Double-Barrelled GUN Breach-loader, with case and all appliances complete, by Moore and Co., London. 1 Colt's 6-Barrel REVOLVER, with case complete. Luncheon provided. Sale at Twelve o'clock. 3 Dec 1880, NEW INSOLVENTS. 11 Dec 1880, INSOLVENCY COURT. (Before Mr R H M Donnell, Chief Clerk.) GENERAL MEETINGS. 24 Feb 1881, MONDAY, FEBRUARY 28. PAKENHAM. Two Miles from the Beaconsfield Station. On the Road from the Station to the Sanatorium (Now Beaconsfield Hotel). By Order of S H Cohen, Esq , Assignee For Positive and Absolute Sale. This hotel is in a first class position on the road. If kept by an industrious and painstaking landlord, would do well, with about 50 acres of the land. The remainder of the land could be resold for farming or grazing purposes, and the timber is valuable, being so near the station. Titles perfect, for particulars apply to Messrs Braham and Pirani, solicitors, Collins street west. To all those who wish to Purchase a Homestead and Acreage In the Most Salubrious Part of the Colony. ALFRED BLISS will SELL to the highest bidder by PUBLIC AUCTION, at the room, 32 Collins street west, on Wednesday, September 14, at twelve o'clock, 32 Acres of FREEHOLD LAND, being part of Portion 59A, Berwick, with Brick Cottage, new (unfinished), and containing four rooms and passage. This land is really good for cultivation, garden, and shrubbery improvements. It is suitable for a summer residence for anyone wishing to got a nice retreat in this fast-becoming favourite locality. It is close to Miller's Bush Inn Hotel, and Mr Miller will take any intending purchaser over the property and explain its advantages. Title certificate, that can be inspected at the office of Jas. Boyd, Esq , solicitor, Collins street west. Terms very easy, small deposit, balance to be arranged, bearing 6 per cent interest. [S1] Registry of Births Deaths and Marriages Pioneer Index Victoria 1836-1888 "information from death certificate." [S185] Property Titles. ; PROV (Public Records Office Victoria), C/T 721-003 George Miller of Berwick for consideration of 138 pounds. [S185] Property Titles. ; PROV (Public Records Office Victoria), C/T 962-353 George Miller of Berwick for consideration of 80 pounds. [S185] Property Titles. ; PROV (Public Records Office Victoria), C/T 1129-744 George Miller of Berwick farmer for consideration of 23 pounds. [S185] Property Titles. ; PROV (Public Records Office Victoria), C/T 1197-344 George Miller of Berwick for consideration of 17 pounds. 545/49 GEORGE MILLER PAKENHAM 57B2 16--0--27. 1876 - 1880. [S185] Property Titles. ; PROV (Public Records Office Victoria), C/T 1246-089 Samuel Henry Cohen of Melbourne as Official Assignee in the Insolvent Estate of George Miller of Berwick for consideration of 40 pounds. [S185] Property Titles. ; PROV (Public Records Office Victoria), C/T 1246-090 Samuel Henry Cohen of Melbourne as Official Assignee in the Insolvent Estate of George Miller of Berwick for consideration of 40 pounds. [S185] Property Titles. ; PROV (Public Records Office Victoria), C/T 1255-912 David Boyd of York Street, Emerald Hill, Estate Agent. 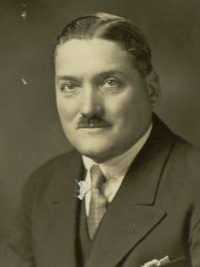 Miller George. 1882 Age 61 Husband of Ann, native of Petersfield, Hampshire, England bw0691. [S16] Newspaper - The Age 25 Oct 1880, p4. [S12] Newspaper - South Bourke and Mornington Journal 3 Nov 1880, p2. [S11] Newspaper - Argus 3 Dec 1880, p5. [S11] Newspaper - Argus 11 Dec 1880, p15. [S12] Newspaper - South Bourke and Mornington Journal 15 Dec 1880, p3. [S11] Newspaper - Argus 24 Feb 1881, p2. [S11] Newspaper - Argus 3 Sep 1882, p2.